Too often trust is thought of as a nice-to-have but vaguely soft, squishy, liberal sort of relationship thingy. Not often enough do we realize it also holds the key to reducing costs and time, and to fostering innovation and new value creation. It also mitigates risk. 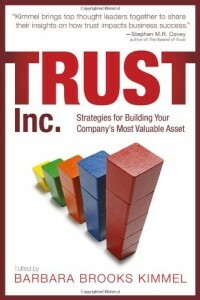 It’s true: trust is highly profitable. Consider how Warren Buffett acquired McLean Distribution from Walmart. By deciding to trust the management team at Walmart, Buffett reached an agreement in a matter of days and at minimal cost, saving months and many millions in cost. I don’t think so. Let me add my own small lesson. To Sign a Contract? Or to Trust? In addition to speaking and writing, I run a seminar business. I’ve spent this week training a half dozen worldwide potential trainers, sharing with them all the training manuals, approaches, ideas and concepts that I have developed over the years. Normal procedure would be for me to have them all sign a non-disclosure agreement to protect my intellectual property, which is, after all, the source of my livelihood. Such agreements can be more or less complex. If violated, they give me the legal right to pursue redress in courts in various countries should one of my licensees/coaches/contractors abscond with my materials or be found to be using them for their own purposes without properly getting my approval or compensating me appropriately. Instead, I explained to them that I would prefer to trust them to do the right thing. We went through a 60-second ceremony. All of us raised our hands and, looking at each other, pledged two things: to respect my intellectual property in the commonsense way they felt was right; and if there was any question about what that meant, to talk to me and the rest of our team about it. No papers. No contracts. Nothing written. Not enforceable in any court of law. Where’s the Enforceability in Trust? I feel more protected by this oath than I do by any legal agreement I might have signed. Why? Certainly not because it’s enforceable in a court of law. Rather, because it’s enforceable in a higher court; the one of their conscience. Conscience is triggered by conscious, collaborative relationships between human beings. I have no doubt that this group of people, with whom I have worked closely over several days and for months preceding this gathering, will honor the pledge. I trust them. This is partly because of who I know them to be, and also partly because I trust them. Trust is not something you work on directly; trust is a result. It is the result of two parties interacting: one who trusts, and the other who is trusted. You can practice both trusting and being trustworthy. Probably the fastest way to make people more trustworthy is to trust them first. Is it risky? Of course. But I think it is less risky than relying on the rather impersonal and tenuous threads of trademark law. My recourse to legal violations is courts, which are costly, time-consuming, and generally manufacture ill-will in the pursuit of their justice. By contrast, trusting my business relationships itself increases their trustworthiness, which also lowers my risk–and at near-zero cost. My means of enforcement is pre-installed within them in the form of their consciences. It’s a win-win. Except maybe for the lawyers. And frankly I think there’s room for lawyers to gain from this too. But that’s another blog. 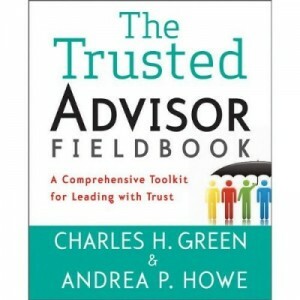 http://trustedadvisor.com/public/trusted_advisor1.png 0 0 Charles H. Green http://trustedadvisor.com/public/trusted_advisor1.png Charles H. Green2009-12-10 11:00:002009-12-10 11:00:00Can Trust Replace Contracts? A training exercise beginning with introductions can tell us a lot about how and what we trust.